Oil painting on Mylar. 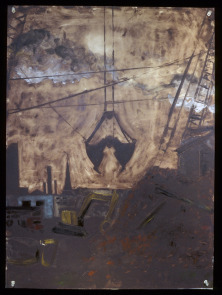 Artist's caption: "It took two weeks to take down Burk Brothers Tannery." Image shows crane and demolition of tannery buildings.